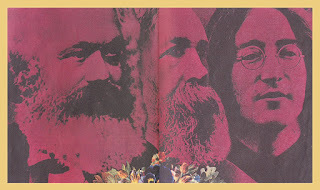 Psychedelic rock emerged in the mid-1960s. It's heyday was 1966 to 1969. This type of far-out music gave us such classic albums as Sgt. Pepper’s Lonely Hearts Club Band, Pet Sounds, Surrealistic Pillow, and The Piper at the Gates of Dawn.Today, music historians split psychedelic rock into two categories: pop-psychedelia and acid rock.Pop-psychedelia was heavily influenced by British bands like The Beatles, Pink Floyd, and The Kinks (later by XTC’s alter-ego, Dukes of the Stratosphear).The epicenter of acid rock was San Francisco. Progenitors of this brand of psychedelia included Jefferson Airplane, The Doors, Moby Grape, and Paul Butterfield Blues Band. Some credit the Grateful Dead with creating acid rock in 1965 at Ken Kesey’s second Acid Test. To paraphrase Jerry Garcia, whatever music you’re listening to why dropping acid is acid rock.Garcia’s wisdom aside, acid rock usually eschews the studio tricks and soundscapes of pop-psychedelia. It’s more focused on the guitar, guitar solos, and long jams.Acid rock is important because at the start of the 1970s, the movement split in two. One branch became hard rock/heavy metal and the other became progressive rock. Obviously, this is a bit of an over-simplification, but the acid rock of the 1960s evolved into the hard rock of the 1970s. For a great overview of acid rock, you need to check out Nuggets: Original Artyfacts From The First Psychedelic Era 1965-1968. 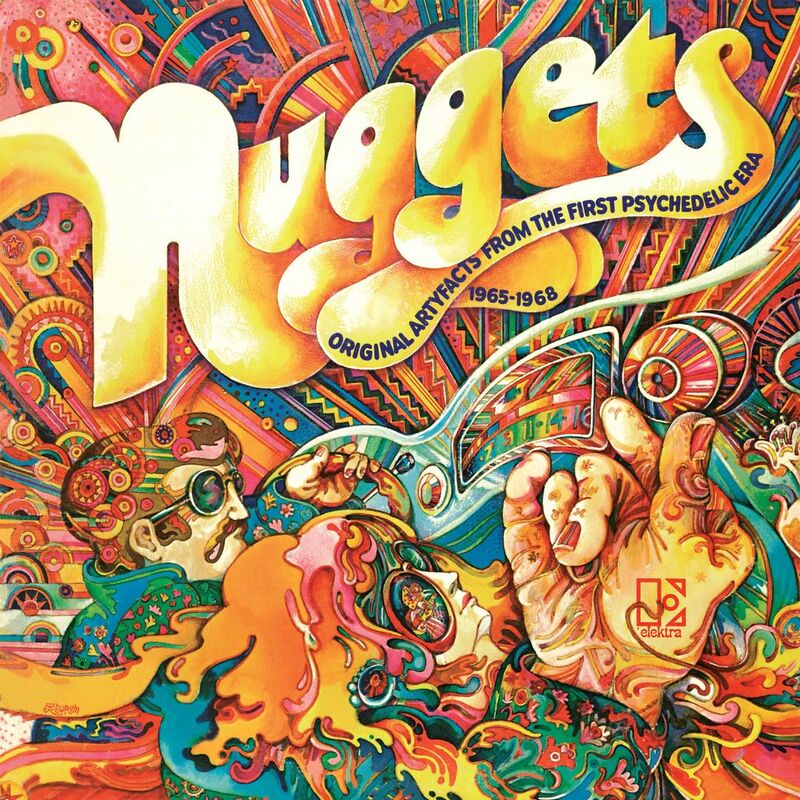 Produced by Lenny Kaye, Nuggets is generally regarded as one of the greatest compilations in rock history. In 2003, Rolling Stone magazine named it the 196th best album of all-time. It’s available on Amazon for about ten bucks (the vinyl version is considerably more). Buy it, rip it, and then give it to a friend. Before you do, make sure you read the linear notes, the inside cover, and the booklet. There’s almost as much to read as there is to hear.The compact disc contains 27 great tracks. There are songs you’ve probably heard before like “Dirty Water” (The Standells), “Pushin’ Too Hard” (The Seeds), and “Baby Please Don’t Go” (The Amboy Dukes).It also contains songs you might not have heard before like “A Public Execution” (Mouse), “An Invitation to Cry,” (The Magicians), and “Let’s Talk About Girls,” (Chocolate Watch Band).The highlight of the album is “You’re Gonna Miss Me” by The Thirteenth Floor Elevators. The single peaked at number fifty-five on the Billboard Hot 100 in 1966.The band’s name conjures up New York City, many thought they were from San Francisco, but they actually hail from Texas. They are fronted by Rory Erickson with Stacy Sutherland on lead guitar. Rare for a rock band, Tommy Hall played the electric jug. The Elevators hit the Austin music scene in late 1965 and split in 1969. Legal woes and drug problems did them in.True to the recording industry of that era, they released four albums: The Psychedelic Sounds of the 13th Floor Elevators (1966), Easter Everywhere (1967), Live (1968), and Bull of the Woods (1969).Their music has been covered by numerous artists including R.E.M, ZZ Top, and Echo and the Bunnymen. In 1990, they were the muse for one of the first tribute albums.